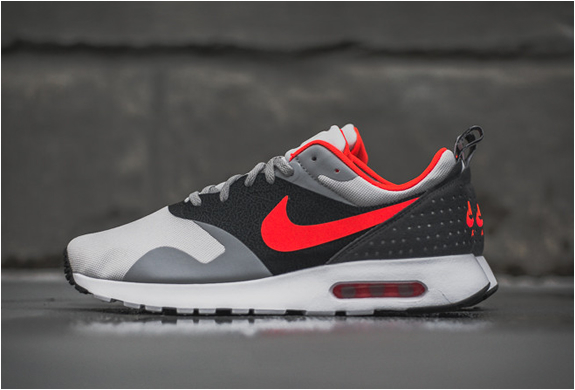 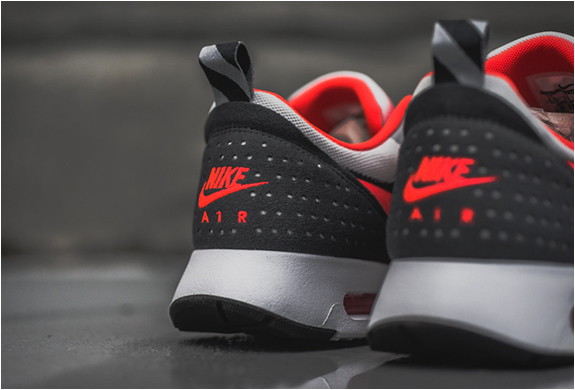 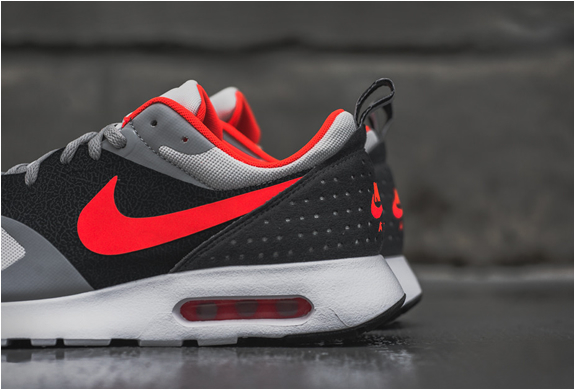 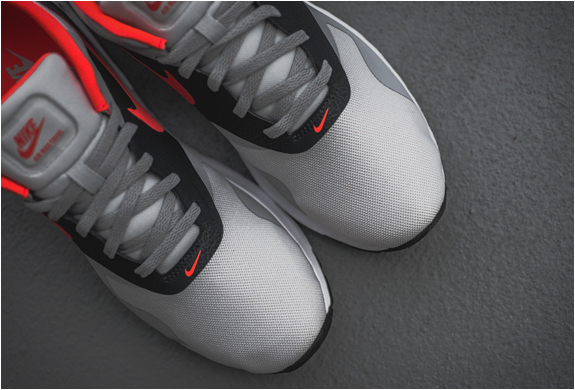 Nike have unveiled a spectacular grey/bright crimson colorway for their Air Max Tavas sneakers. 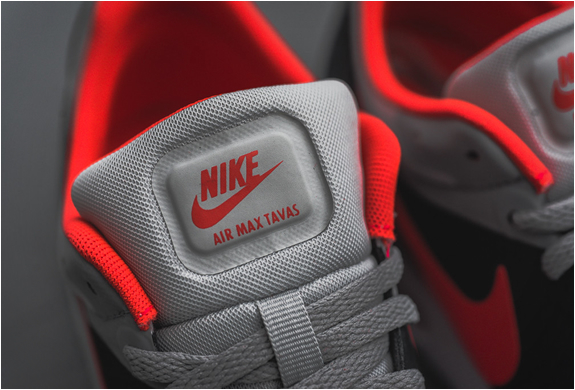 The shoe is like a fusion of Nike´s Roshe Run and the iconic Air Max 1 silhouettes, and recalls the retro profile of the iconic running original with a Max Air unit in the heel and multi-surface Waffle outsole. 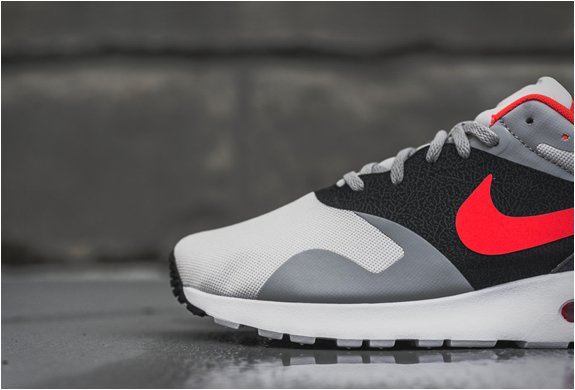 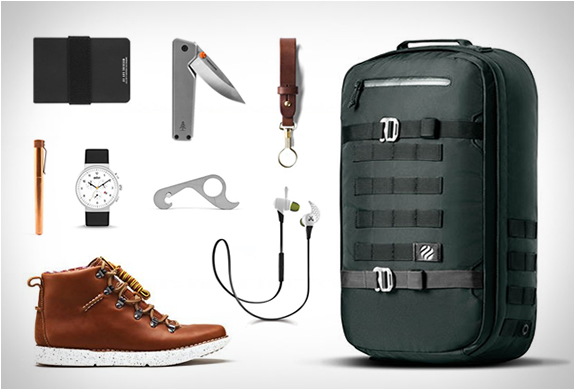 The result is a clean sneaker with a contemporary look and innovative comfort.